For the last few years NS has been "cleaning up" most of the PRR heritage on the Port Road. 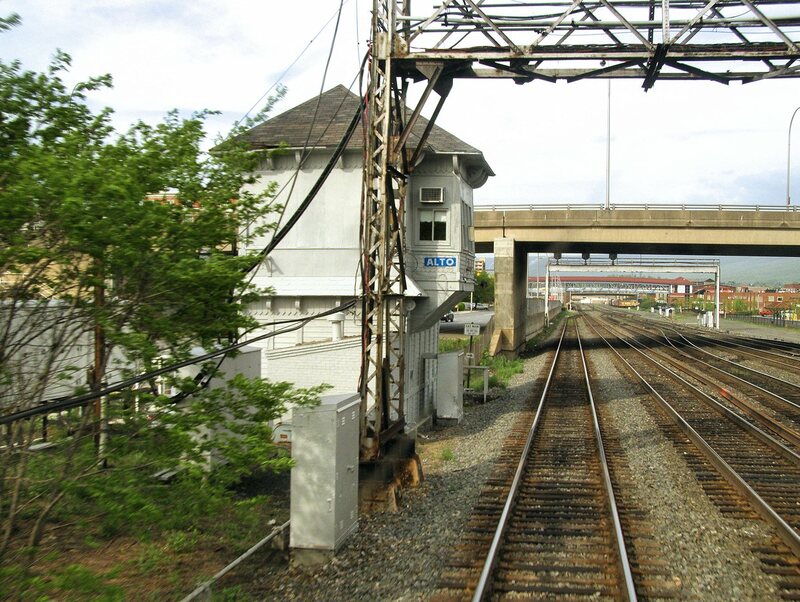 Having already eliminated the old PRR pole line 100Hz power supply and embarked on a project to remove most of the old catenary poles, this past week they finally completed work on a project to re-signal most of the old territory controlled by COLA tower. Back in 2007 I discovered the first part of this project taking place at CP-SHOCKS where the PRR PLs were being replaced with the standard Darth Vader types. 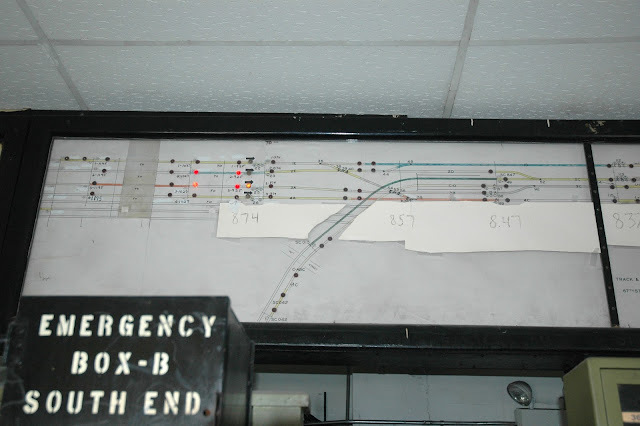 Since then the project spread to CP-LAKE and finally CP-COLA, which was actually still using the original PRR era relay logic from the COLA tower CTC project. The scope of the project was to install full Rule 261 operation between CP-CRESS and CP-SHOCKS. 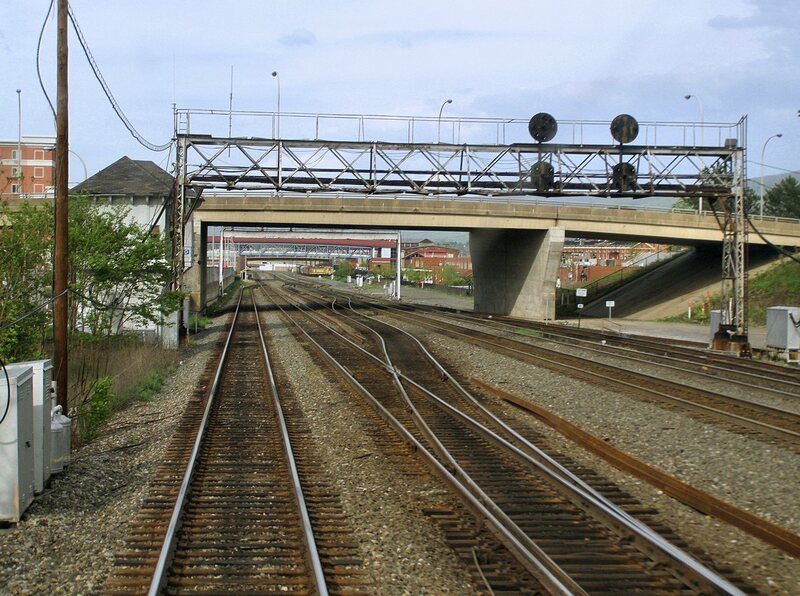 While CP-SHOCKS and CP-LAKE were both re-signaled independently and in short order, the COLA and CRESS portion of the project took a little longer to complete with replacement signals standing at COLA since at least July and only being finally cut over in conjunction with the entire line segment between there CP-LAKE. 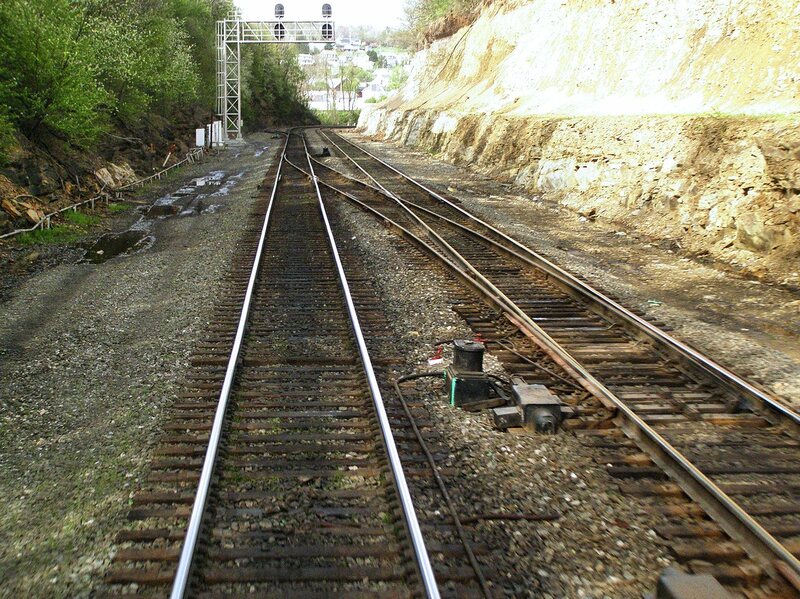 With the cutover CP-LAKE was removed from service as an interlocking with the third middle siding track between there and COLA being converted to having a hand throw western end. 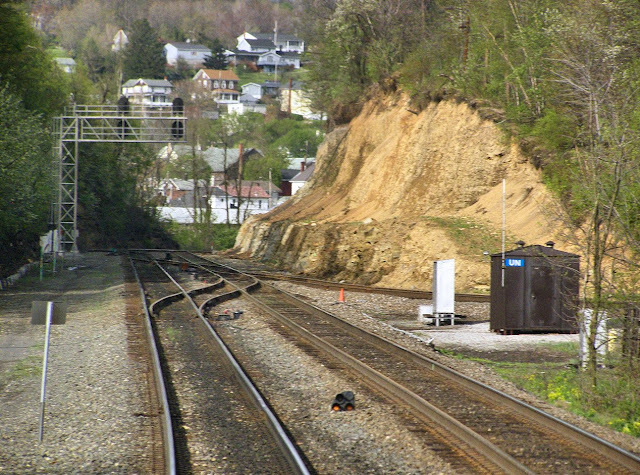 The desecration didn't stop there as both ends of the Harbor siding were also re-signaled. 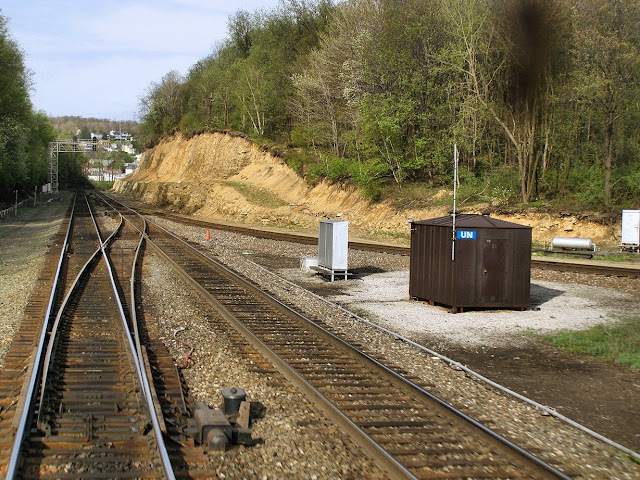 This was a 6000 foot, non-signaled siding with slow speed entrance and exit. CP-WEST HARBOR appeared to have been recently rehabilitated with fresh paint on the eastbound PRR PL mast, but I guess this was just a fakeout as someone made the decision to upgrade both the entrances and exist to Medium speed operation and possibly signal the siding as well. Fortunately I was able to get pretty good coverage of COLA and WEST HARBOR, but time ran out before I could get to CRESS or the PL intermediate signals between there and COLA. Fortunately I do have a smattering of coverage from one of my contributors taken in 2006 which I hope to include in a future survey piece. In one last bit of news I noticed at MINNICK that along with the catenary poles the Conrail-era 100Hz power supply station was also ripped out, although the PRR PL signals there were given a fresh coat of paint indicating that NS has no plans to fully destroy the southern Port Road branch yet. 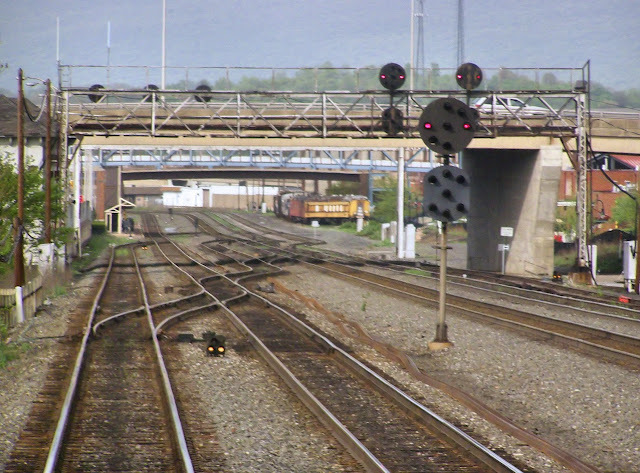 In this Part 7 of my 2009 PRR Main Line Survey I will cover the segment between ALTO and CP-UN. 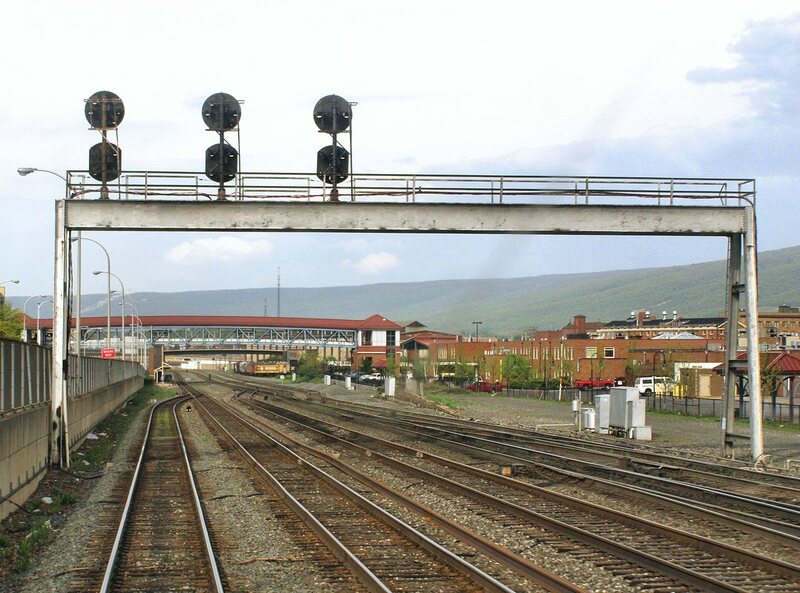 Now while I did devote an entire special post to ALTO tower, my Main Line survey is not simply going to skip over that part like it was some sort of black hole so we begin again at the east home signal of ALTO tower at the end of the platform of the Altoona Amtrak Station. Here you can see the applicable track diagram. You'll want the 1998 Pittsburgh Division one. 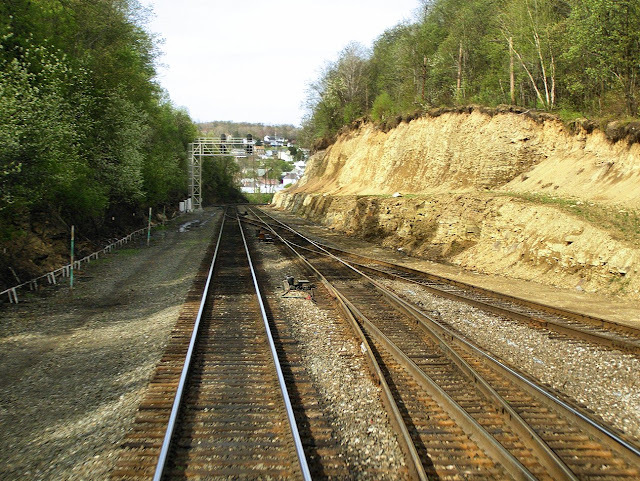 ALTO marks the transition from a two track railroad running under Rule 261 on both tracks, to a three track line with single direction Rule 251 on the outer tracks and Rule 261 on the center track. ALTO was arranged, or possibly re-arranged back in the Penn Central era, to allow easy access for Amtrak trains in both directions to access the station platform(s) located on the north side of the tracks. The 31 switch allows westbound trains to continue either on the 251 track 3 or the 261 track 2. 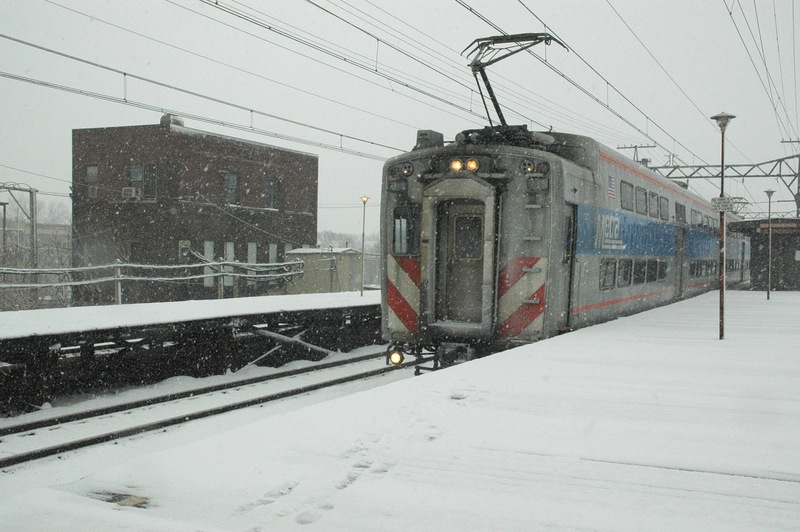 Eastbound trains are given a straight shot to the platform off of track 2. Passenger trains heading east on track 1 must first cross to track #2 at SLOPE. 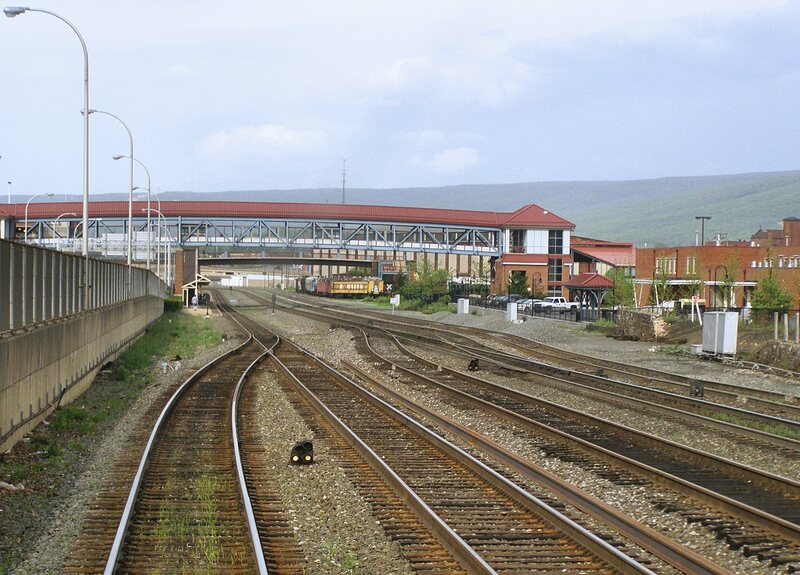 Anyway here my train departs the Altoona station and takes the #31 switch set reverse to track #3. 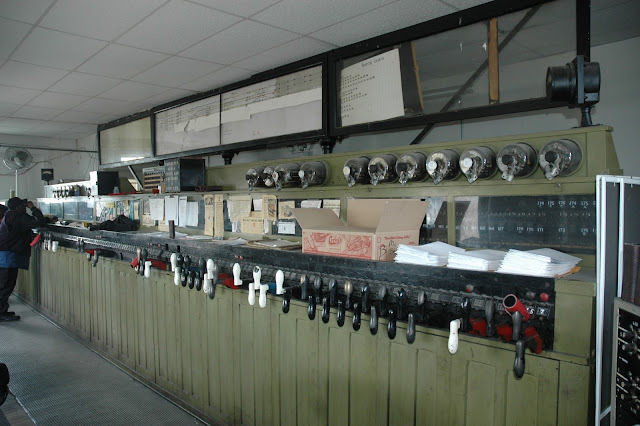 Here we see the reverse direction 20R dwarf signal for movements on track 1. This signal is controlled from the main machine in ALTO tower. To the right we see the helper pocket track and its eastbound 32R dwarf signal. 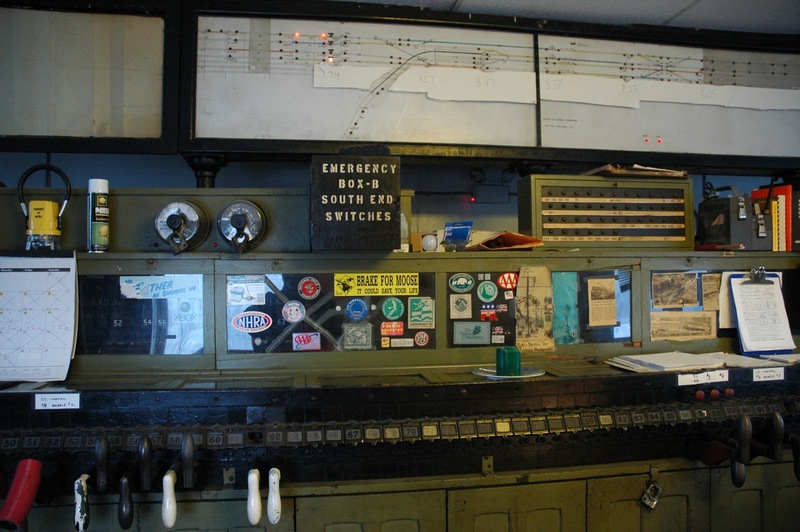 The pocket exists between that signal and the PC era signal gantry. Ironically one of the most iconic structures at ALTO appart from the tower itself wasn't even original to the interlocking. The 5-track beam type signal gantry was installed during the Penn Central era in conjunction with a PennDoT bridge and highway project in the area. 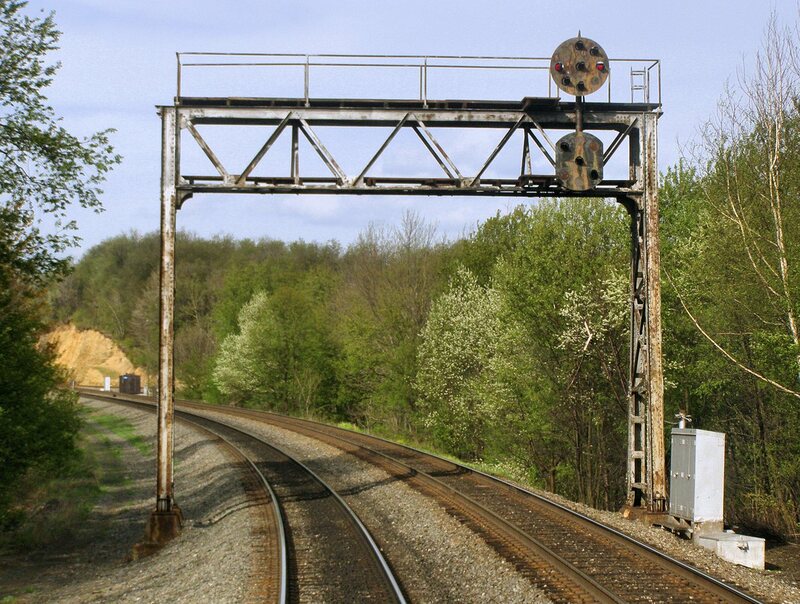 The gantry supports three high signal masts governing westbound movements on tracks 1 and 2 as well as the helper pocket which are worked from levers 2R, 6R and 8R on the main machine. ALTO tower itself posing by the westbound lattice signal gantry which probably dates from when the tower was built in the early 20th century. 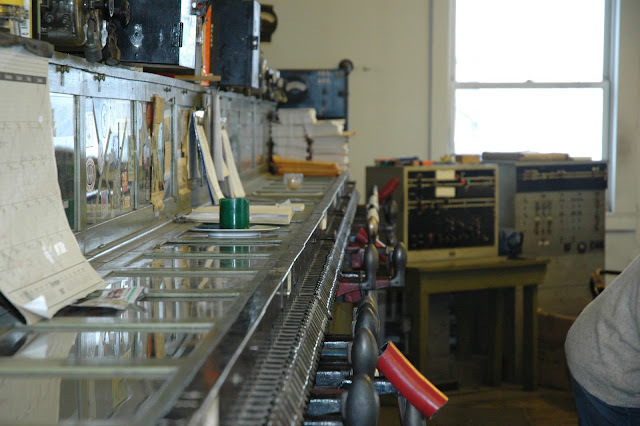 Sometime in 2008 the tower was given a fresh coat of gray paint, but this investment was not a signal of any sort of longevity as you all now know the tower is scheduled to close sometime in the next year. 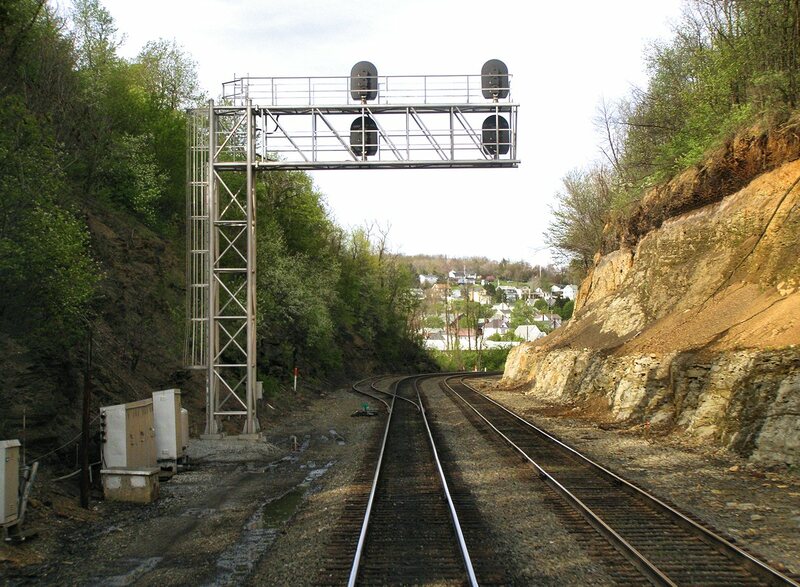 Here we are looking at the 6 track eastbound gantry at ALTO, which only supports two high signals for tracks 1 and 0. 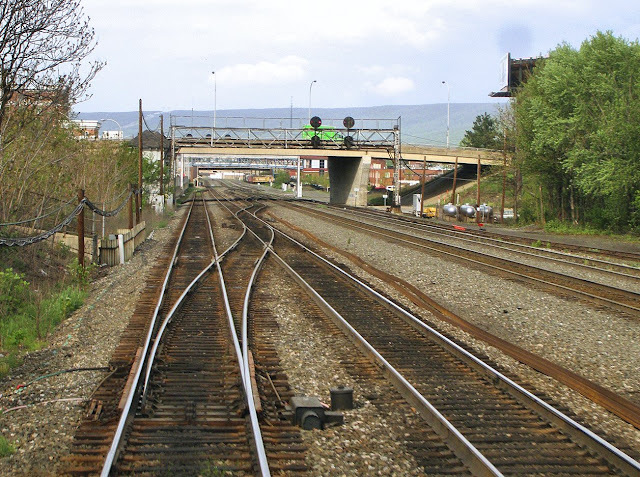 The slow speed diverging aspects on both are for movements onto the yard leads which are in fact signaled to CP-WORKS as a controlled siding. Here we are looking at the 1sw and my extension the entire ALTO facing point ladder which runs from here to the yard leads at the other end of the interlocking. 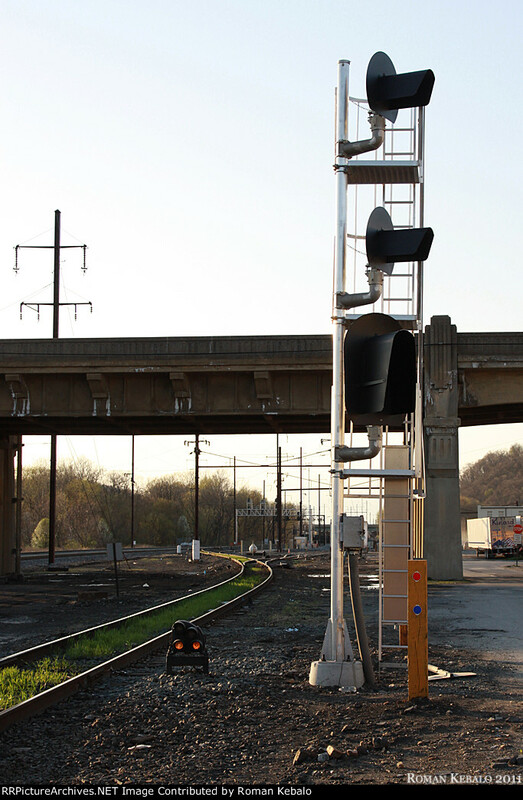 As ALTO is basically a yard-terminal tower most of its movements involve trains either passing straight through or heading into/out of the yard, hence the ladders that head to that side of the track. As expected ANTUS interlocking can be considered the reverse of ALTO. Here we see the eastbound home signals for ALTO on tracks #1 and #2. As expected the reverse direction track 1 signal is a dwarf and the bi-directional track 2 signal is a mast. This zoom view provides an interesting prospective on the layout of the entire interlocking. First a small bit of good news. Amtrak is now attaching its great dome car to the Cardinal in the later half of the fall foliage season after the car completes its stint on the Adirondack. The even better news that unlike the Adirondack the dome on the Cardinal runs as the last car. This not only provides better photos forward (as the hot exhaust won't distort the photos), but also a rear facing railfan window, replacing the one that was lost when the Viewliner was moved to the front of the consist in 2010. 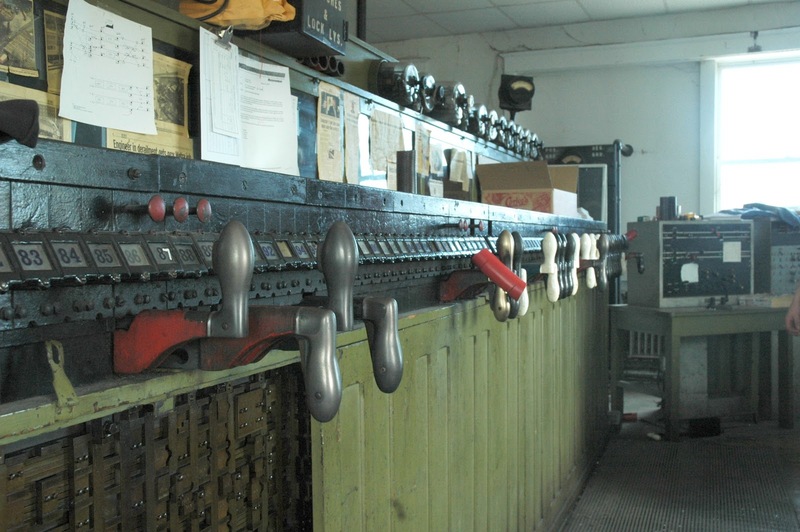 So, if there are any C&O signals left in 2012, the dome car trip will be the time to photograph them. 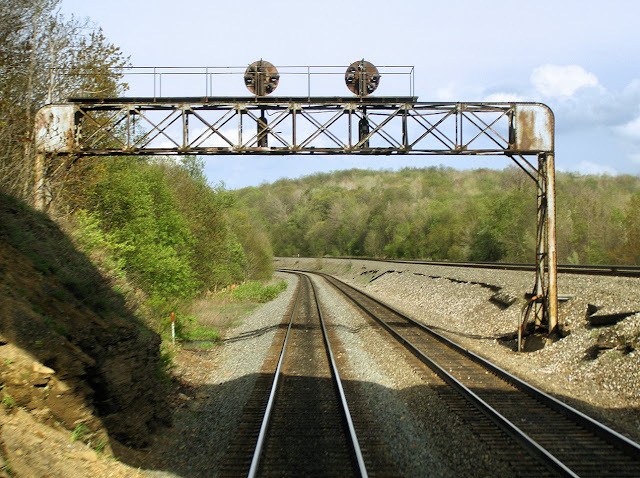 Unfortunately, on a related note it appears that the CSX lease of its C&O Clifton Forge to Orange route to the Buckingham Branch shortline is not enough to preserve all of the classic C&O signals on the line (although it helps). 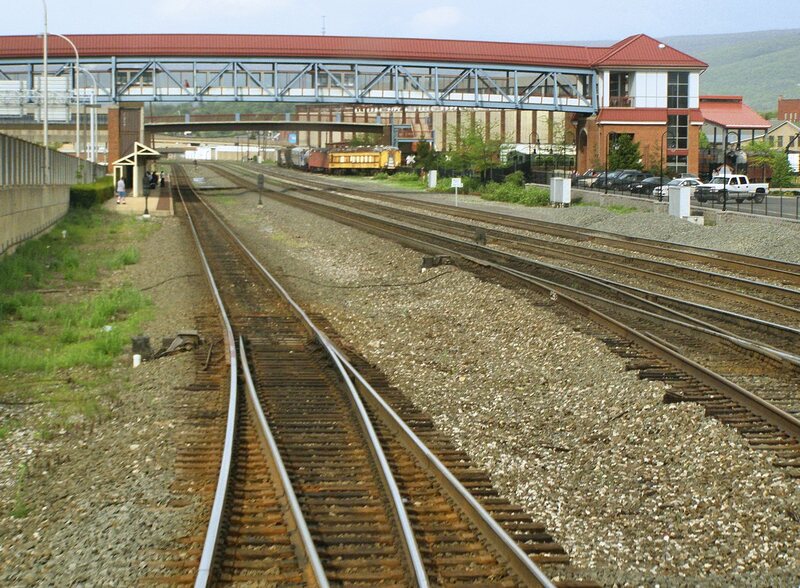 While looking at pictures from Charlottesville, VA I noticed that JC Cabin, the diamond crossing with NS, is being re-interlocked and with that the old C&O mast signals are being replaced by single head, 4 lamp darth units (albeit with what look like non-Safetran lamp units). NS signals, which consist of a northbound Southern style cantilever and southbound southern style and NS style lollipop masts, appear to be untouched. I am assuming the motivation is greater reliability of the interlocking to avoid delaying NS trains. I will be passing through there next week and will try to get more information.